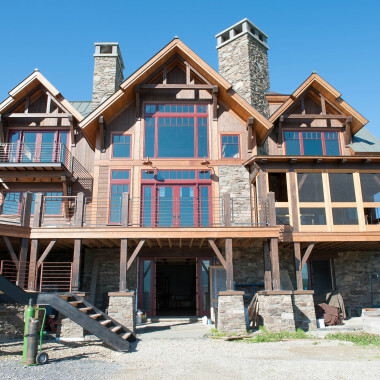 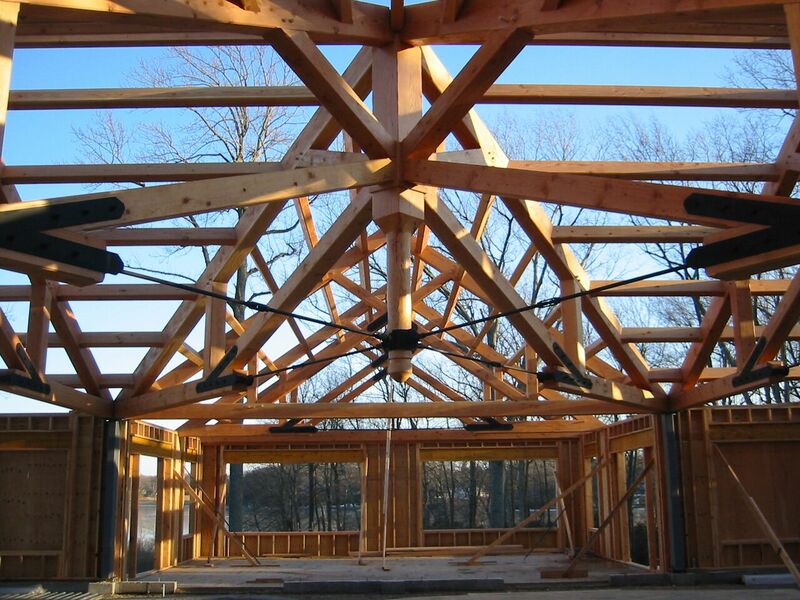 Vermont Timber Works created the hand crafted timber frame of this pool house. 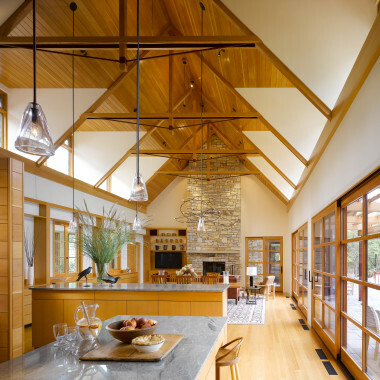 You’ll note the Douglas Fir heavy timber truss system with purlins. 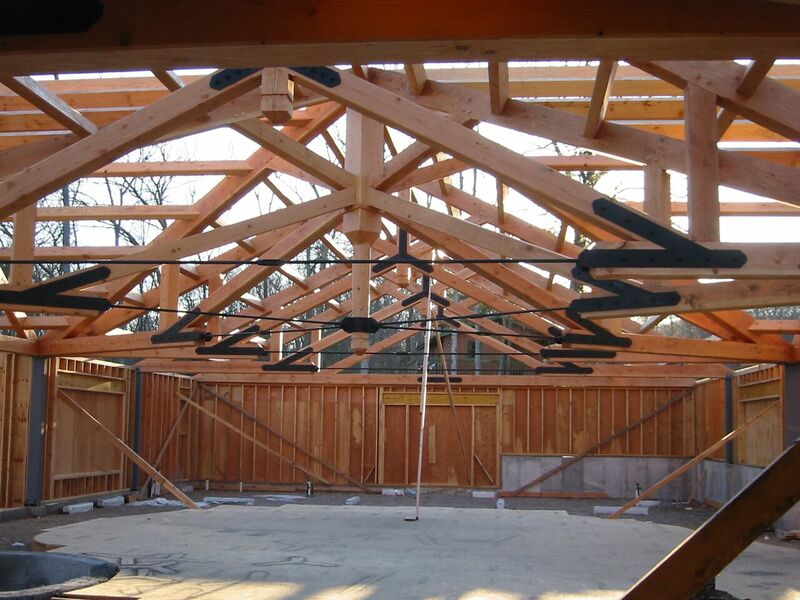 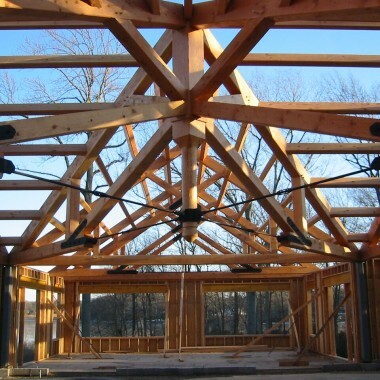 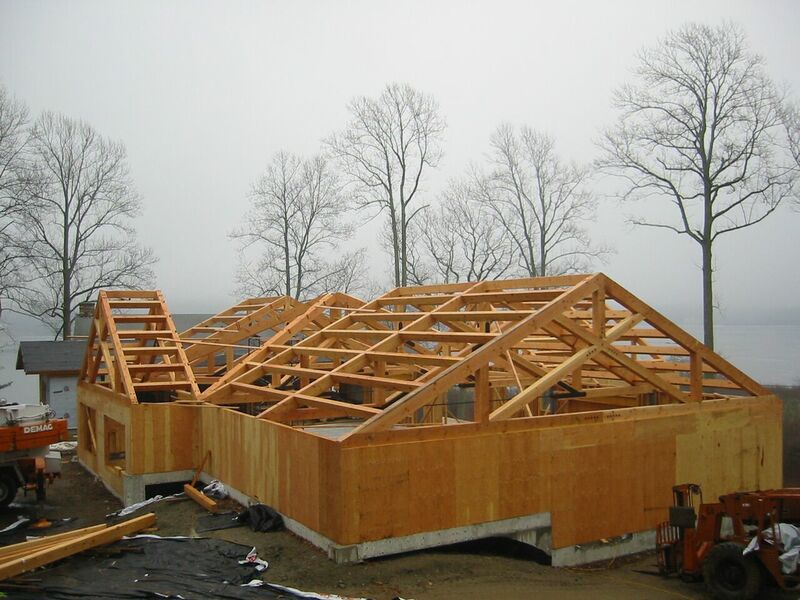 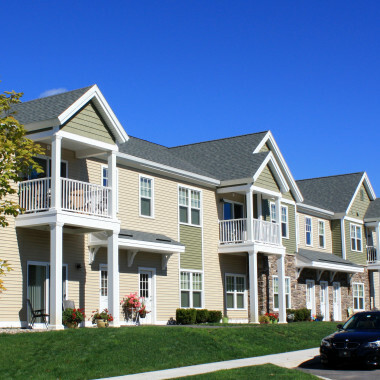 The center hub features 4 valley trusses with an outer tension ring around the perimeter.